Can’t wait any longer to find out what happens in Alice Through the Looking Glass? You don’t have to. 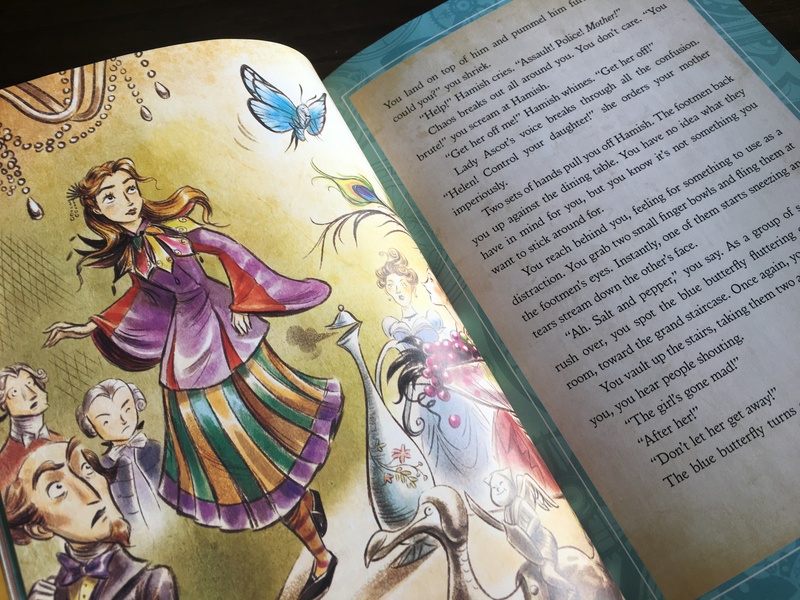 Disney Press has released two wonderful books that let you in on the conclusion of this whimsical tale. Alice Through the Looking Glass is a tour de force follow up to 2010’s Alice in Wonderland live action film, but it is not the Lewis Carroll book by any means. 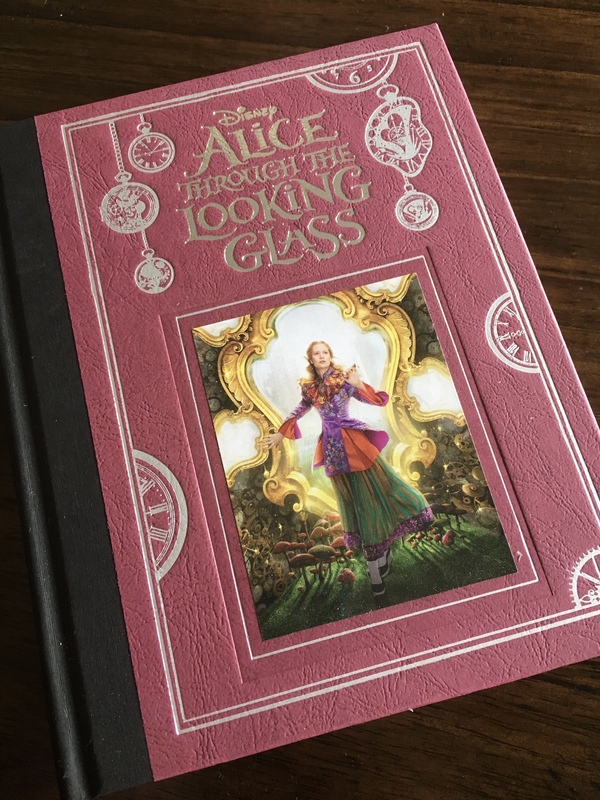 As the first movie was not a representation of the events in Carroll’s first book, neither is this second movie (or book) a representation of Through the Looking Glass and What Alice Found There. Instead, it is both part prologue and part sequel to the Tim Burton film. Kari Sutherland does quiet a deft job at adapting the Linda Woolverton original screenplay. The book flows very nicely and the pages go by rather quickly. All of your favorite characters from the first film are back, but this time they need to help the Hatter who is somewhat not himself. He has lost all of the whimsy and fun that made him unique and all the best laid plans have not changed things for him. The Underland gang send for Alice to help and at least this time she hasn’t forgotten who they are. Back in our world, Alice has found herself in a pickle of a predicament. Having been gone an extra year on her voyage, she comes back only to find her family in financial difficulty and herself having lost control of her company. Hamish once again steps forward to offer a solution, but will Alice accept this time? 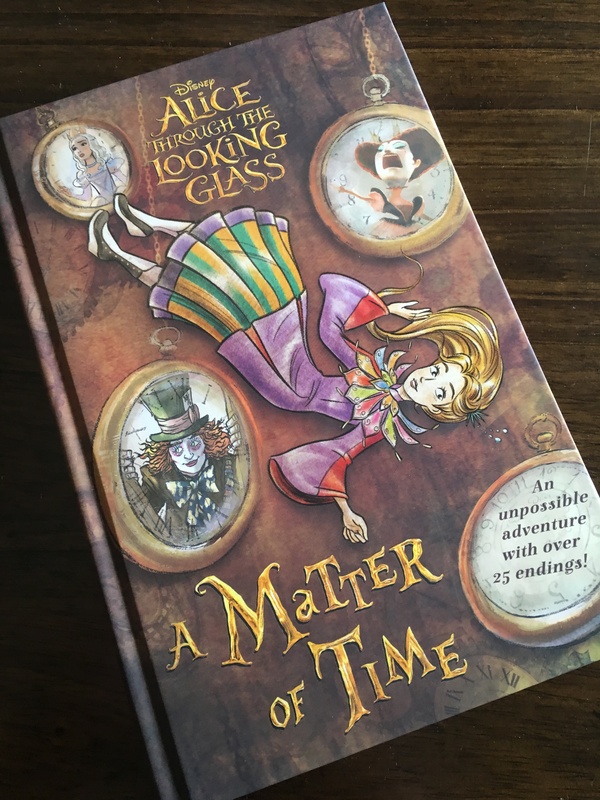 The other Alice book that has just been released is called A Matter of Time. It is a delightful book, much as you would expect a book about Underland to be. Similar to the classic “Choose Your Own Adventure” books, you read it as one of four main characters – Alice, Hatter, The White Queen, and The Red Queen. 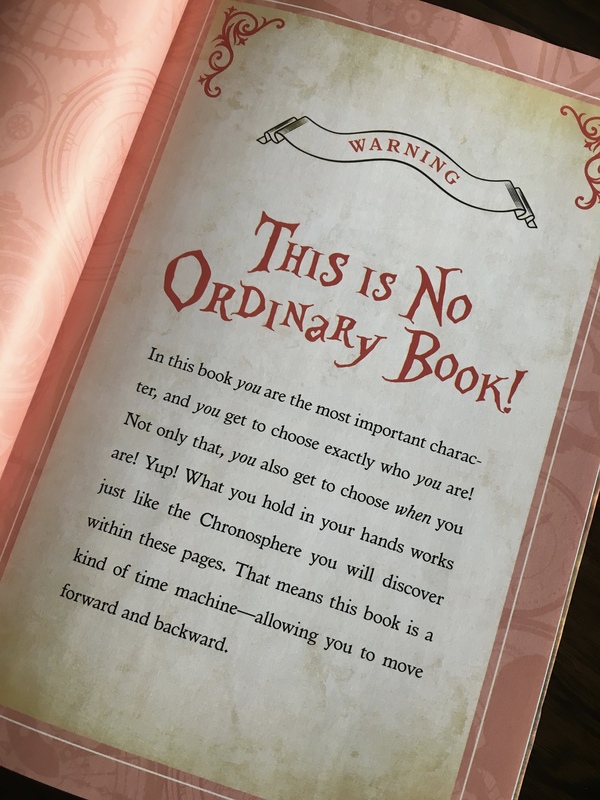 At certain points in the story, you make choices of what you will do which either takes you deeper into the story or you – literally – get turned upside down and your story ends. What is brilliant about this book is that it takes the basic premise of the story as does the adaptation, but goes through it from each character’s point of view. You essentially discover the entire story, but in a very unique and original way. Both books are great and essentially tell the same story. If you are only getting one and want to follow along as you would in the movie, get the traditional adaptation. If you want something a little different, go with A Matter of Time. Also being re-released are the first Alice in Wonderland adaptation of the 2010 movie and the Jon Scieszka / Mary Blair (yes THAT Mary Blair) retelling of the Walt Disney’s Alice in Wonderland animated film.